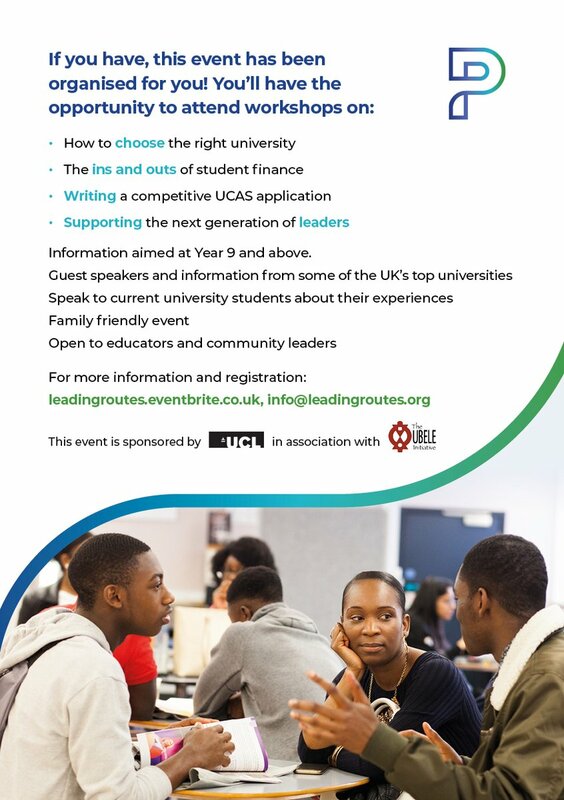 Leading Routes: Paths to University Success' event for parents and carers is coming back! Leading Routes is ogranising third annual ‘Paths to University Success' event for parents and carers. The registration is open now! The event is aimed at African Caribbean parents and students interested in finding out more about higher education and the student journey. This free event is sponsored by University College London (UCL) and will take place on Saturday 13th April between 10am and 4pm, at Conway Hall, Holborn. It is a fantastic opportunity for parents and guardians to gain a better understanding of how to support their children through the university application process but also a good one for your students to attend to meet university reps in a welcoming environment! Our own Yvonne Field will be keynote speaker at this event. OurSpace Leaders Programme: Applications are open NOW!